I don’t know if it is because I am growing older or if the availability to all information at all times makes it seem so, but in my mind the world is becoming an ugly place. What has come of “Peace on earth and good will towards men”? It seems that it has become more and more difficult to find the good news. I believe this is the time of the year when we not only celebrate the birth of Jesus Christ, but the time of the year when we embrace loving one another and embrace our commitment to humanity. Instead, I am bombarded with articles of man’s inhumanity to man. It just seems to me that the world is on a crazy downward spiral to oblivion. Each day we hear of gunmen snuffing out the lives of young innocent people. The deaths of those children in Peshawar saddens me to an extent I never thought possible. The deaths of those in Australia sadden me to an extent I never thought possible. 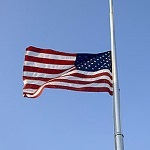 And the tragedies in our own homeland sadden me the most of all. Not only do they sadden me, but they strike fear in my heart. Are any of us safe? Can any of us go Christmas shopping without at least some concern that we may encounter murder and mayhem?how is it even remotely possible that we feel safe in our streets and homes when Police Officers are being executed for only one reason, because they are police officers. There are those out there who applaud the action of the executioner. Those who do are just as despicable and just as guilty as if they had committed the act themselves. It used to be pretty simple. There were the good guys and the bad guys. The good guys were supposed to win and everyone was supposed to be behind and support the good guys. Suddenly that line has become blurred, at least to some. Suddenly some people think the Police are they bad guys because they must use some or a lot of force to defend themselves or those they are sworn to protect. Suddenly it seems who the us and them are is no longer clearly defined. Maybe I can help. I can definitively state that it is not white cops against black citizens. I can definitively state it is not all cops against poor people. It is not even cops against the bad guys. They only us versus them is the bad guys versus all the rest of society. Of course some have decided the lines are even blurred when it comes to defining who the bad guys are. Suddenly it is stand your ground versus cut and run (a luxury not available to a police officer). Suddenly it is excusable to commit crime and inexcusable to enforce laws. I think it is clear, you are either a law-abiding citizen, or you are a bad guy. And if you are a law abiding citizen then you cannot affiliate with the bad guys and remain law-abiding, even if the affiliation is in the form of the rhetoric as we have seen from Al Sharpton and the like. I cannot begin to imagine what Christmas morning will be like for the families of Wenjian Liu and Rafael Ramos. Will any Christmas morning, ever again, be a time of joy for these families. We all die, it is inevitable. We can all understand when one’s death is expected or even when it is an accident and not expected. But it is almost impossible to comprehend how anyone can so brutally and senselessly end the lives of two individuals who had done nothing to invoke such a horrendous act. It makes my mind reel and my heart hurt just to think about it. But more so, it makes me extremely angry. It makes me angry that there are those among us who are not bothered or outraged that this has occurred. It bothers me that people can become so angered at a police officer doing their sworn duty and feel no anger that a police officers life has been taken. The complacency that seems to exist concerning a murder of a police officer is very disturbing. They are, after all, the good guys.